Each page can have documentation. The documentation can include information such as design descriptions, functional specifications, or client requirements. 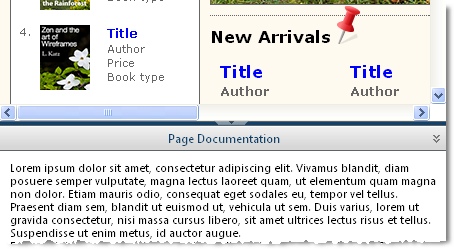 To display documentation for a page click the View > Show Documentation menu item in the toolbar. As shown below, the Documentation panel opens at the bottom of the design.